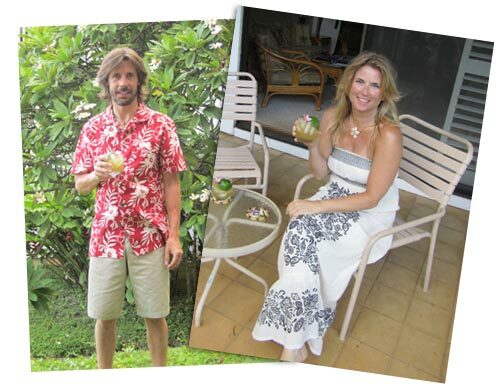 The following comments are from vacationers who have rented our condo at Kiahuna Plantation. Just letting you know we made it back to Palm Springs following our beautiful week in Kauai. I am slowly getting back into the groove here in the triple digit weather. The condo was absolutely perfect. Thank you for your attention to detail. Every amenity was there. We did not, nor could not, want for anything! I had planned to write in the condo journal but time just got away from us in the end, and I did not get the chance. Once again, thank you for letting us enjoy the condo. We would love to get back there just one more time (before that "old age" bell rings....and, I am afraid it is starting to peal!). Well, if we are able to do it, I would only do so if we stay in 233! A quick hello and thank you for the wonderful stay at your Kiahuna condo; we had a very hard time leaving! The central location was fantastic and the condo had everything we needed. (And, we added a beach umbrella to the extensive beach stuff collection in the closet!) We've stayed at the Kiahuna Plantation three times now, and your condo was perfect for our needs this time. I meant to write in the guest book upon leaving but ran out of time, but did want to let you know we greatly appreciated your quick response to the DVD issue. Brett showed up immediately and had us watching a movie right away, which helped get us through one day of crazy rain! I'm sharing a few pictures of our trip. We were going to go to a luau but ran out of time-- the free Tahitian dancing on Monday/Wednesday evenings right across the street was a great alternative! Our 6-year old loved it. Mahalo! We had a great time at your condo in Kiahuna! Thanks so much! The grounds are so lush and well kept, its really like a gorgeous tropical botanical garden there. Everything was just great, no issues at all. We saw turtles snorkeling in Whaler's Cove, we love seeing the honu. Our best dinner was at Red Salt. I think we left everything in order per the instructions. Here are a couple photos. We hope to return soon! We are spending a cozy day at the condo watching a huge rainstorm complete with thunder and lightening. Sadly, we see the end of this wonderful month approaching and since we are homebound today I thought I'd send you an update on our time here. 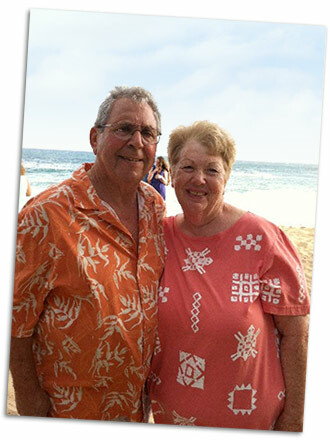 We have thoroughly enjoyed Kaua'i and found your condo to be ideal for us. The decor and comfort of the condo is superb-just the right size for the two of us and decorated to our taste. We especially enjoyed your choice of artwork. Kiahuna Plantation is a beautiful setting-I always enjoyed coming home to the wondrous trees and foliage. Denis was called regularly as a fourth for a tennis doubles game and I enjoyed long walks exploring the area. We both did a lot of snorkeling, hiking and paddling together. We tried several restaurants but most often enjoyed grilling here and eating on our lovely lanai. Ah, the rain may be letting up enough for a gelato run.... Aloha and mahalo it has been truly a fantastic month on this incredible island. Hoping we will return soon, or perhaps be in touch about spending some time at your condo in Palm Desert. 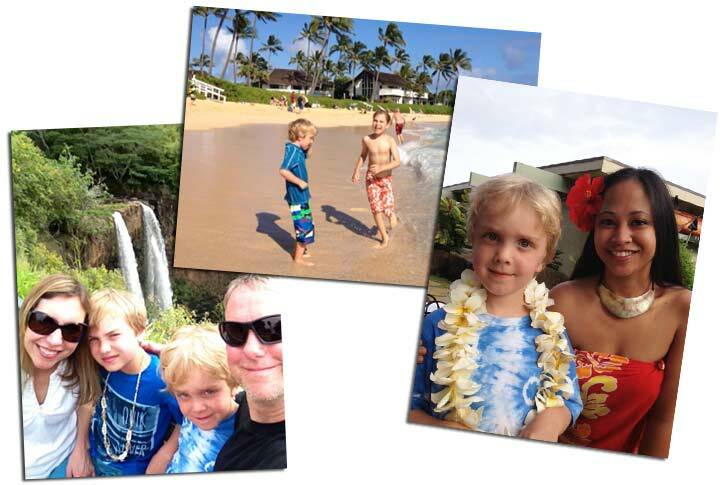 We loved EVERY single minute there on Kauai! The condo worked out wonderful! The grounds were so beautiful and so well maintained. The weather was perfect and we couldn't have asked for a better trip. GVR was great to work with. Kauai was beautiful and we are already planning on when we can go back and take our family! You have been so great to work with I appreciate it! 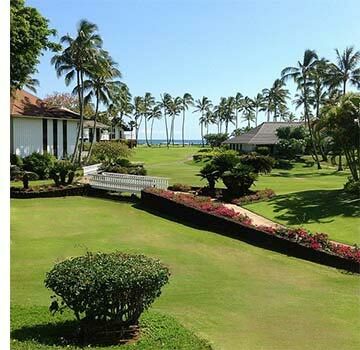 For our first time visiting Kauai we couldn't have chosen a better location than Kiahuna Plantation #233. The condo has very nice upgrades and was located within a few minute walk to the golden sand of Kiahuna Beach. The beach hut was very convenient as they had free chairs and towels to use while on the beach. The Kiahuna Plantation grounds are beautiful! We fell in love with Kauai and its charm. We will definitely be back. Shauna – Kiahuna Plantation is fabulous. We have spent many vacations there. We love the beauty of the landscaping and the beaches. Your condo is great. It is decorated beautifully with many upgrades. The view is great and children can play on the grassy areas. We would absolutely stay there in the future. We absolutely enjoyed our stay at Kiahuna 233. The condo was perfectly located - a few minute walk to the beach and an easy walk to the pool. The grounds are beautiful and impeccably maintained. The condo is spacious, clean, and comes stocked with many extra items for your convenience including boogie boards and a cooler. We truly did not want to come home, everything was perfect. We hope to return right back to Kiahuna 233 as soon as we can. Thank you! We just wanted to say we had an amazing time...The weather was perfect...never rained at alll. We really enjoyed the beach and the area. The island is awsome. Your condo was exactly what we were looking for. It ended up being a second honeymoon for Annie and I.
furnished, and close to the beach and restaurants. We expect this to be the place we will stay for all future vistits to Kauai. We have also suggested the unit to other family and friends, and those that have been here feel as we do that this is a perfect "home away from home" for future visits to Kauai. We just returned home today after a great stay at the Poipu Beach condos. It was wonderful, and our whole family had a terrific time. The weather was cooperative (only 1 rainy afternoon and a couple of overcast days), the water warm, and great food. Our kids stayed in your condo, and it was very convenient since we were in Teels' unit next door. I really liked the hanging pineapple lights in your kitchen and the attractive cabinets and granite counters. We may be contacting you again for a future stay. This is a very belated Thank you! Your condo was wonderful, very comfortable, not to mention a great location, we had a fabulous time in Kauai! We did a few "tourist excursions" which included a helicopter trip around the island and a boat trip along the Napali coast, also took a day and drove to the other side of the island. Of course we indulged in some good ol beach time as well! I'm not sure if I had mentioned it when scheduling our time there, but the son of a friend got married on 8/8 at the Kiahuna Plantation. It was a beautiful wedding and the weather couldn't have been more co-operative. We also enjoyed a few dinners at the Kiahuna Plantation restaurant along with some of the other restaurants in the general vicinity. Delicious food....... What a great place Kauai is! We are looking forward to our next visit. I just wanted to write and let you know how much we enjoyed staying in your unit in September. It was our honeymoon and Kiahuna Plantation was the perfect place! We loved sitting out on the lanai, enjoying the birds and gardens. Your unit was very clean and comfortable and decorated very nice. We will definitely return. Thanks! I just want to say thank you for the fabulous time we had in Kauai. Your property is absolutely charming with the lovely Tommy Bahama furniture and granite throughout. We were 100% impressed and it set the mood for the intimate time that we wanted to have on the island. We enjoyed the amazing landscape that the island offers by foot, car and helicopter. It is a unique sanctuary of beauty. The Golf courses offered a great time and the village and restaurants were delicious. We enjoyed unwinding to the swells and sunsets before we cruised through the lush garden walk back to our cozy unit.